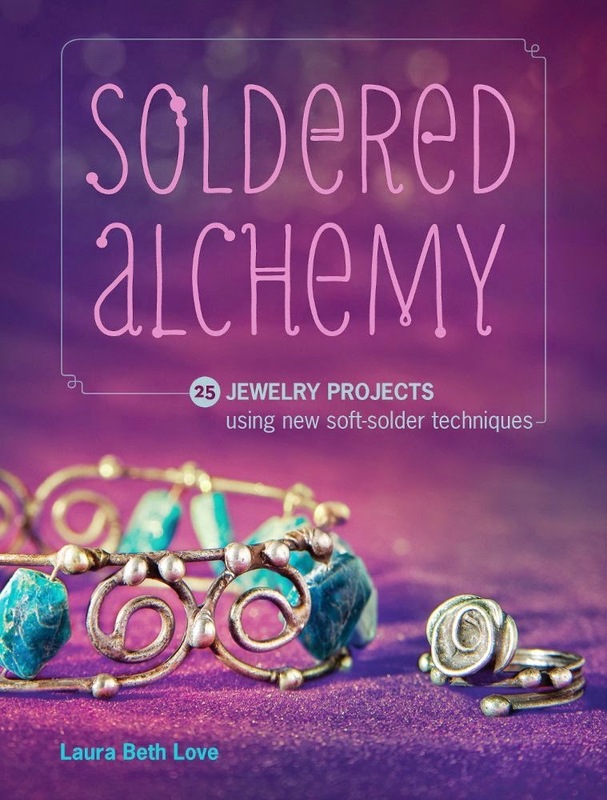 In a small/medium sized pot, boil two cups of water on high heat. Add one cup of rice to the boiling water. Stir, cover, reduce heat to low and cook for 20 minutes. Once finished cooking, turn off and set rice aside. Wash each pepper. 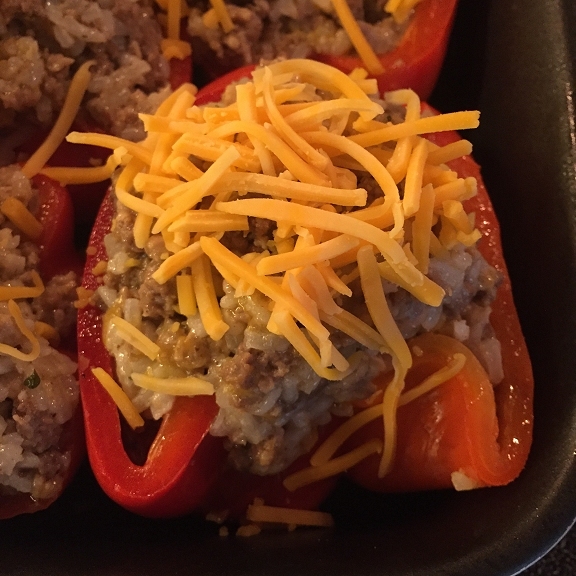 Cut each pepper in half lengthwise. Remove the stem, seeds, and ribs from inside of each pepper. Boil a medium sized pot full of water. Once boiling, place the peppers into the water, one or two at a time, and allow to boil for one minute. Remove peppers with tongs, drain. Repeat this process with each pepper half. 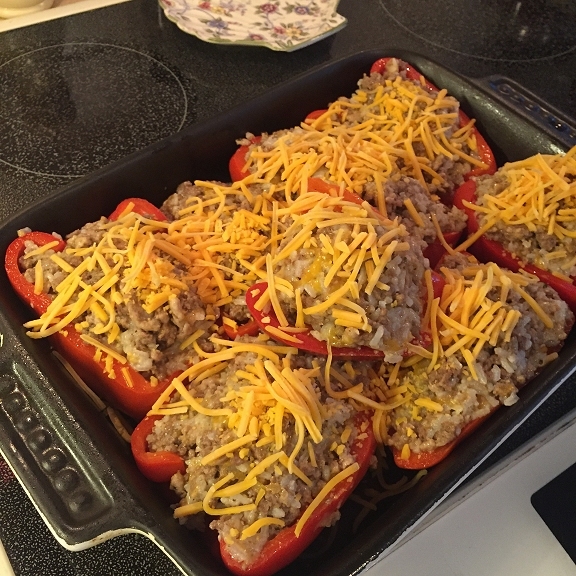 Set peppers aside and allow to cool. Discard water. In a large fry pan or cooking pot, melt 1/4 stick of butter on medium heat. Add one medium sized chopped onion and saute until onion is soft. Crush garlic and add to onion/butter mixture, sauteing for one minute. Add the ground beef and ground pork to the onion/butter mixture and stir while cooking until meat is browned and cooked through. Add the parsley, black pepper and salt and mix well. Drain excess fat from the pan. 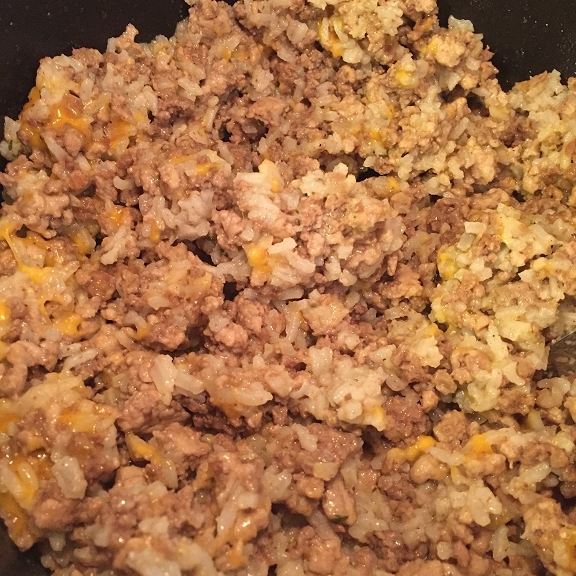 Add one cup of the shredded cheddar cheese to the meat and rice mixture and mix well. Lightly spray a rectangular casserole dish with cooking spray. 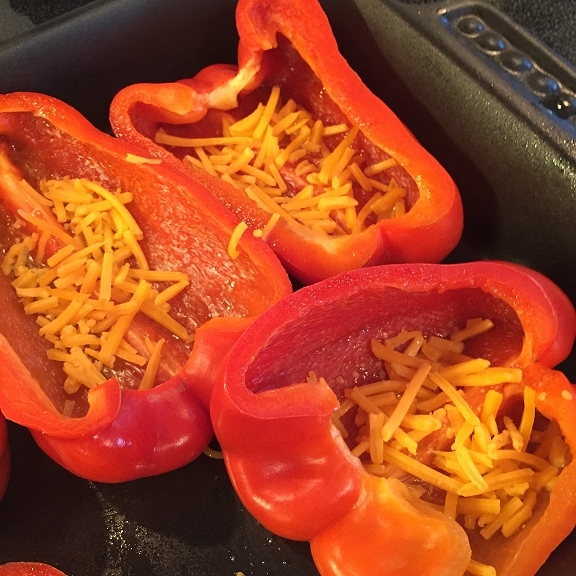 Sprinkle about one tablespoon of cheese in the bottom of each pepper. 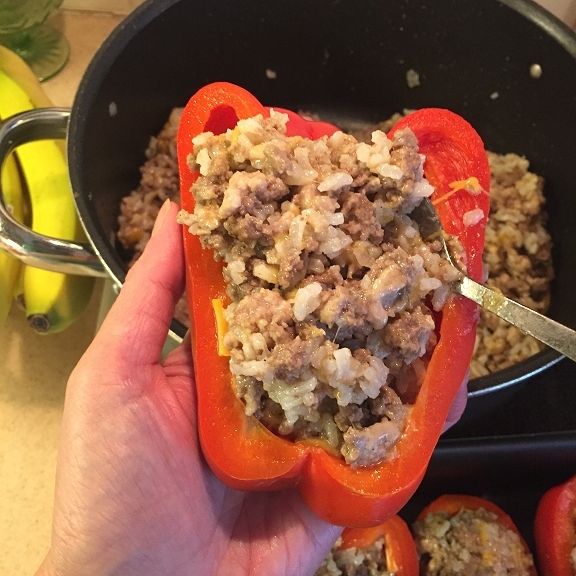 Use a tablespoon to fill each pepper with the meat and rice mixture, pressing the mixture into the pepper while you work. 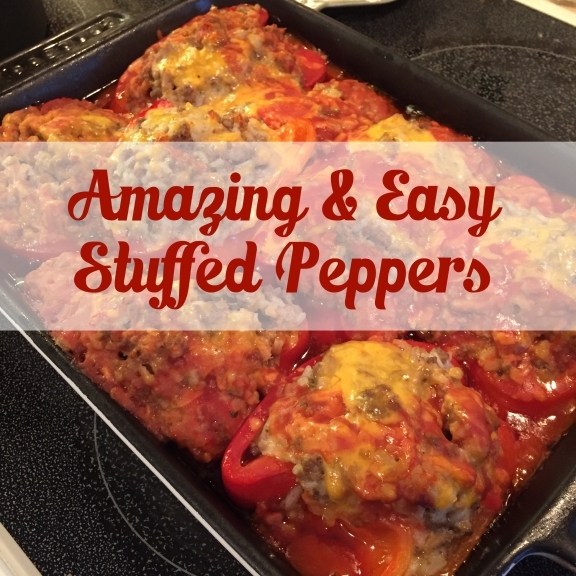 Repeat until all peppers are filled and meat/rice mixture is used up. 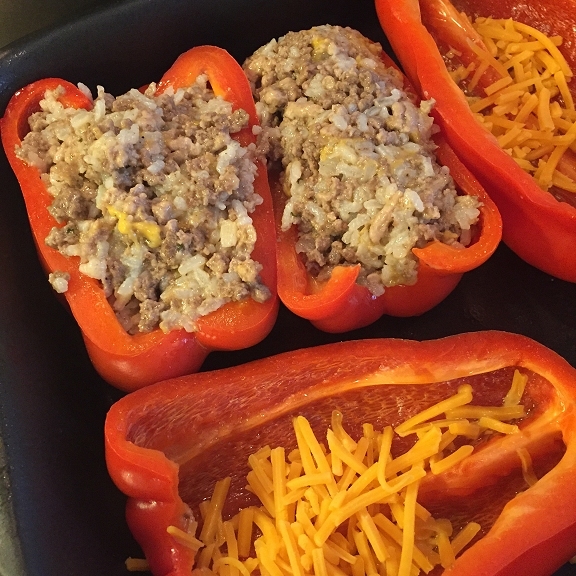 Arrange the filled peppers in your casserole dish. 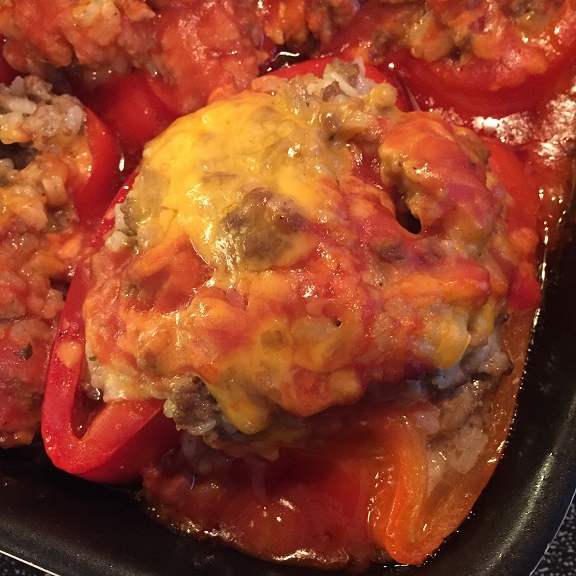 Sprinkle the remaining cheese on top of the peppers. Just about ready to go into the oven! Mix the can of condensed tomato soup with one can of water until well blended. 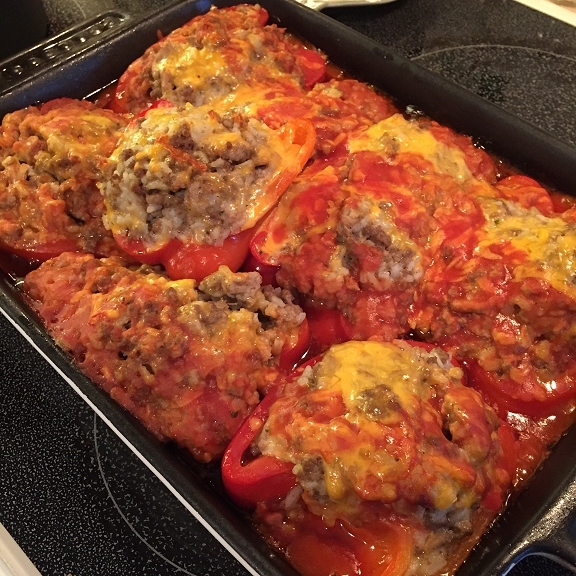 Cover with aluminum foil and bake in 350 degree Fahrenheit oven for 30 minutes.